Cuter Commuter: Total Training in June - a New Personal Record! 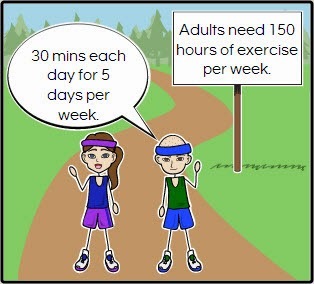 According to the CDC, adults need at least 2.5 hours or 150 minutes of activity per week. If you break that down, it's 30 minutes a day for 5 days per week. THIS I already knew. And I am getting on average 2.4 hours PER DAY (not per week) just riding my bicycle between home and work, for errands and social activities. In addition, the CDC recommends two or more days of strength training of the major muscle groups. This I DID NOT know. Did you? require more calories to function unlike fat tissues which require very little calories. This is one of the reasons why it seems that as we get older, our metabolism slows down and it's harder to keep the numbers on the scale from creeping up even though we're eating the same or less! It is more common for adults to gain weight as we get older even though our diet hasn't changed. So why am I telling you all this? Because the risk of heart disease INCREASES as we get older. No surprise right? 1 in 4 adults die of heart disease and two-thirds of the women who die had no previous symptoms! And this is one of my biggest reasons why I ride my bike to work. Because high cholesterol runs in my family and I sit in front of a computer. And also the fact that active transportation is SO MUCH more fun than driving and being stuck in traffic. Yuck. 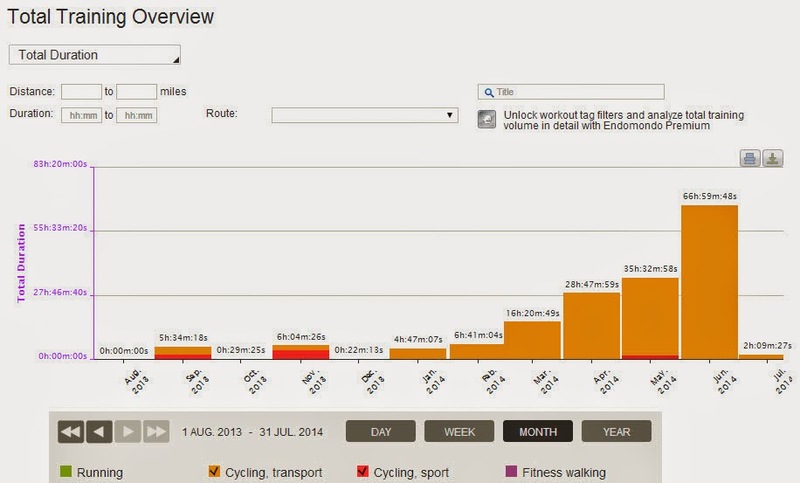 So I looked at the numbers of miles ridden on my bike for transportation and the duration for July. I must admit I really surprised myself because I didn't think I could possibly ride anymore than I have been in previous months!! In a nutshell - I rode 500 miles to and from work, to run errands and for social activities. That amounted to 68 hours of cardio activity!! I am actually getting 2 1/2 hours of activity on average PER DAY, not per week!! 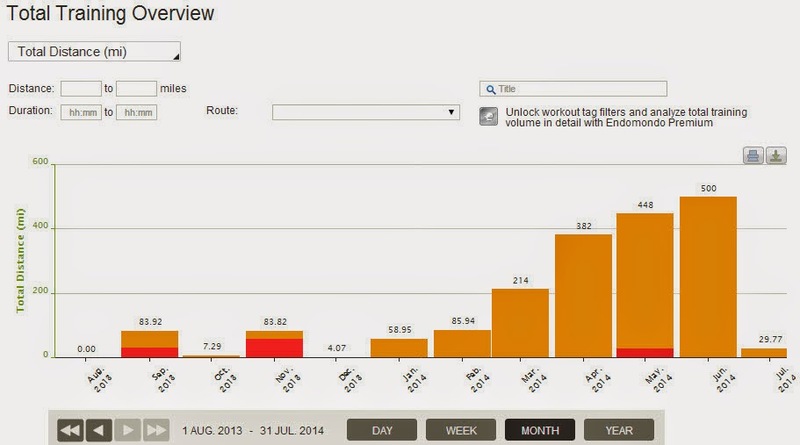 Total Duration for June was 68 hours of cardio! Total Distance for June was miles! 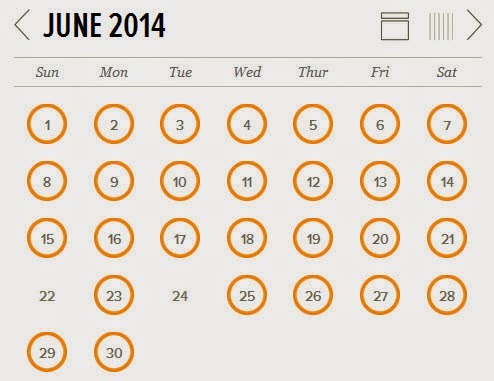 I rode every day in June except for two days. I gave myself a break on Sunday and the front brake cables on my bike broke while riding home so I could not ride my bike the next day. Even though I ride at an easy pace, sometimes I like to challenge myself by pedaling a little harder. 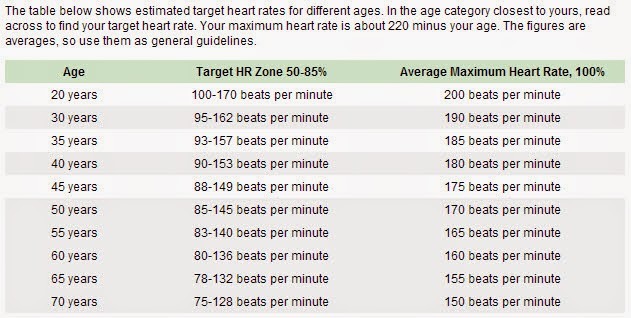 I looked at my heart rate and averaged 74% of my target heart rate. That's pretty good! Bicycling is SO GOOD FOR YOU!! Because I may feel fine. I may look fine. 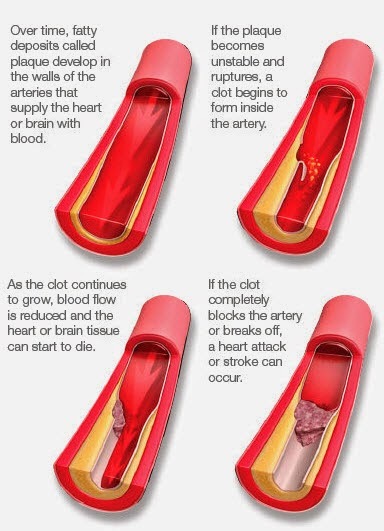 But what I cannot see, is what scares me (like the image below explaining heart disease). And I only want good surprises in life so I am going to do the best that I can on the things I can control. What heart disease looks like.